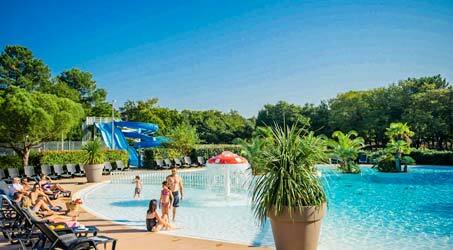 Sea Green’s ambition is to allow each holidaymaker to experience the joy of playing in the water on the site itself, because water is synonymous with sport, relaxation and, in short, a successful holiday. Water is key in the La Forge campsite. And our pool area, right in the heart of the campsite, is the link between the land and the sea, between the nearby Dune of Pyla and the wooded park, where you have chosen to spend your holidays. The common thread that unites the places we suggest for your holidays is to find yourself between heaven and earth. close to the bar, you can eat by the pool and enjoy the very comfortable loungers. 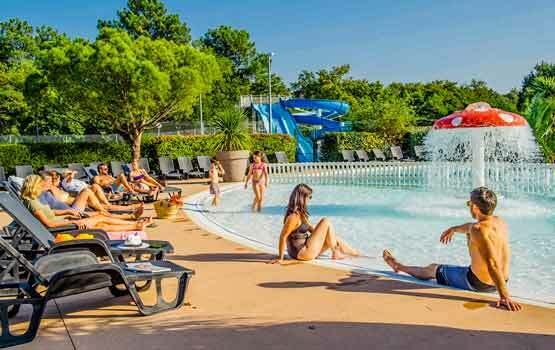 Athletes will enjoy the pool for experienced swimmers, children and those who love water games have a separate, very large pool with an artificial island, water jets and a large, fun slide. 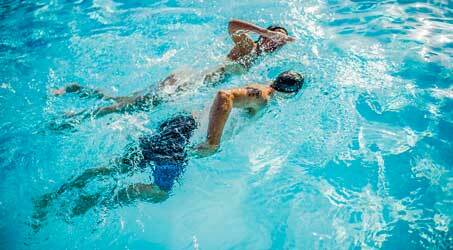 You can be sure that your children can play in the water safely, thanks to our careful supervision from April to September, and, of course, the lessons that our lifeguards can give them. 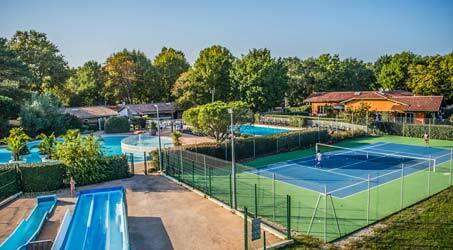 Our pools offer optimal quality, the different pools are arranged so as to offer a truly playful and sporting area to our holidaymakers. 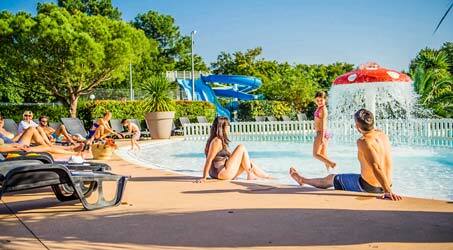 The athletic pool and the children’s and play pool are both designed and maintained with the utmost care to provide areas that are beautiful, safe, modern and spotlessly clean. 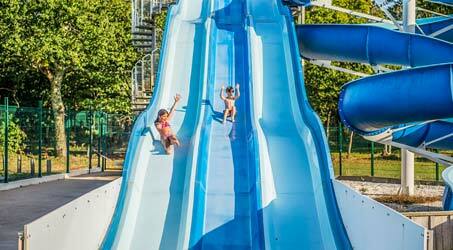 The large double slide is worthy of large water parks because of its size and quality. With bursts of laughter and thrills, it’s a joyful cocktail for sunny summer days. 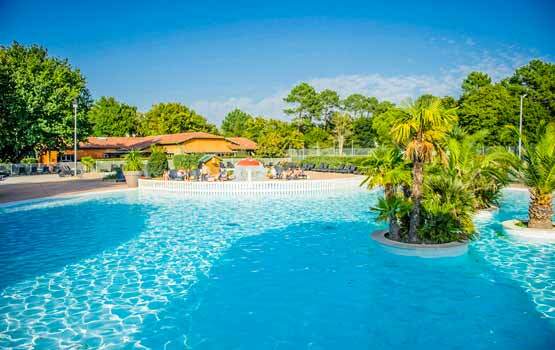 Water is synonymous with sports, games and successful holidays at the La Forge campsite. Our pool area has a large round pool and a second pool for water games, equipped with an artificial island, water jets and a double slide that will thrill you! Our multi-track slide has been designed to give you all the fun of a water slide, with variations in the gradient and smoothness, for guaranteed laughter, in total safety! id Aliquam consequat. Donec massa Curabitur ante.